Sheffield Wednesday have signed Bolton Wanderers midfielder Joey O'Brien and Wigan Athletic goalkeeper Lee Nicholls on loan for the rest of the season. O'Brien, 25, who played under Owls boss Gary Megson at Bolton, had a loan spell at Hillsborough in 2004-05, making 15 appearances and scoring two goals. Nicholls, 18, has spent time on loan at Hartlepool and Shrewsbury this season. Both players could feature in the Owls' trip to improving Dagenham and Redbridge on Saturday. 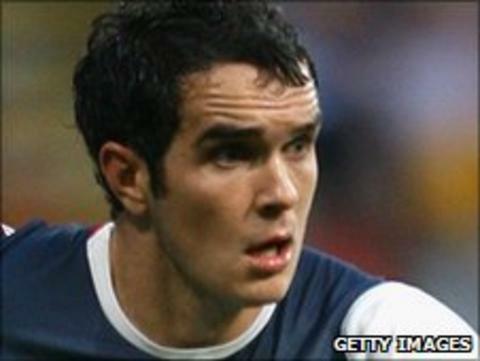 O'Brien told BBC Radio Sheffield: "It's a chance for me to get in here and play some games. It didn't look like I was going to do that up at Bolton after my injuries. "I had the opportunity to come here and play some games and I jumped at it really because I knew the club and loved it last time so hopefully I can love it again."